Congressional sources say Israel has made a request for its annual defense aid from the United States to increase to as much as $5 billion. Israel has made an initial request for its annual defense aid from the United States to increase to as much as $5 billion when its current aid package, worth an average $3 billion a year, expires in 2017, congressional sources told the Reuters news agency on Wednesday. Israel wants $5 billion per year in military aid for 10 years, for a total of $50 billion, the congressional aides told the news agency. According to those sources, Israel has explained that it wants more money to counter threats it says will arise as a result of the international agreement on Iran's nuclear program. Congressional and other U.S. officials cautioned that negotiations on the new aid deal were still in the early stages and the proposal is not yet at the stage where it has been formally brought to Congress, which must approve the funds. "First they have to negotiate with the White House," one senior congressional aide said of Israel, according to Reuters. Prime Minister Binyamin Netanyahu is due to visit Washington for talks with President Barack Obama next week, when the package is likely to be discussed and its broad outlines may be agreed, the news agency noted. Israeli government spokesmen declined to provide details on the defense aid talks, but one American official said the Obama administration was unlikely to fully meet the Israeli request, and predicted the sides would settle for an annual sum of between $4 billion and $5 billion. Israel has also secured hundreds of millions of dollars in additional U.S. funding for missile defense in recent years. 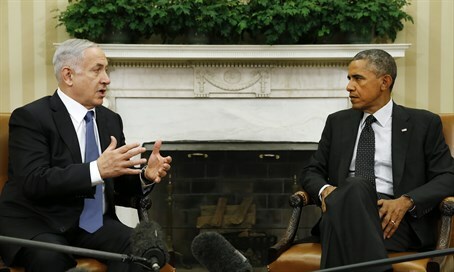 In 2013, during his visit to Israel, Obama indicated that Israel and the United States were opening talks on extending the American military aid to the Jewish state beyond the end of the current agreement. But Netanyahu put the brakes on aid talks with Washington in the run-up to the Iran deal that was reached in July, signaling his displeasure with the negotiations. Before he did so, Israeli and U.S. officials said they were looking at a new aid package worth $3.6 billion to $3.7 billion annually. Recently, however, Israel has indicated that it is ready to move beyond its rejection of the Iran deal. Senior American officials said after Netanyahu’s recent UN speech that the speech would be Netanyahu’s swansong on his public fight against the accord, and Defense Minister Moshe Ya’alon repeated those sentiments during a visit to Washington last week.